Foraging is fun, but it is also dangerous. Make yourself aware of the dangers, if you plan to indulge. Picking a batch of mushrooms from one of Toronto’s parks could add an exotic accent to a steak dinner. Depending on the mushroom you pick, that dinner could also send you on a hallucinogenic spiral, throw you into a seizure, send your blood-pressure soaring, or worst-case scenario, put you on a short list for a liver transplant. And other supposedly-edibles that are found in the city’s ravines and forested areas aren’t much safer, according to Dr. Margaret Thompson, Medical Director at the Ontario Poison Centre. “We’ve had calls from patients who thought they were picking wild parsnips and ended up having seizures — patients who thought they were picking wild leeks who ended up with gastrointestinal problems,” said Thompson in an interview Friday, July 31. 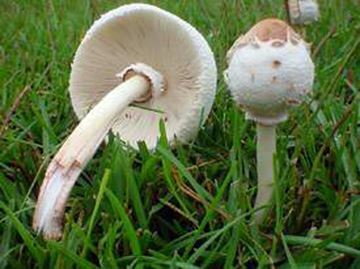 Anyone with health concerns with eating mushrooms should call the Ontario Poison Centre at 416-813-5900.